If looking to customize the external look from other factory vehicles, there are various ways to do this. Starting from custom paint job buyers can give their Mahindra vehicles a distinctive appearance by changing external configuration, shape, styling , add-ons, alloy rims, tyres, custom Grille, headlamps and tail lights, front and rear bumpers. 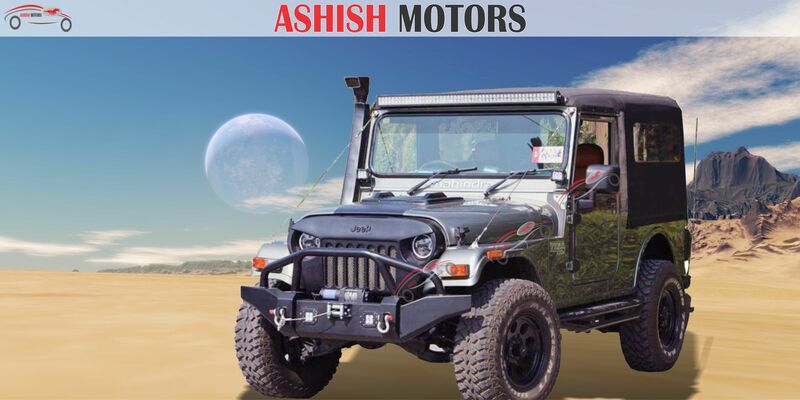 Mahindra Customization can offer to add Adventure quotient to the vehicle with Roll Bars, Rock Sliders, Bull Bars, Range of Canopies, FRP Hard Top, Snorkel, Winch, Super Skeleton Roll Cage, Body Elevation, Fog Lamps. While talk about customize the interior of the Mahindra Thar, we adding colour coding to the dashboard. Other interior customizing options include trimmed steering wheels and monogrammed seats in Italian leather/Art Leather/Premium Fabric. Redesigned door trims, Central console, Mood Lighting, Customised Floor Mats, Power Windows, roof mounted chillers, car fridge etc.